You would be forgiven for missing the tiny landlocked country of Kyrgyzstan on the map. Meshed into Central Asia's inter-locking web of former Soviet Union boundaries, this mountainous country still has more horses than cars. It never fails to surprise and delight all who visit. Proud of its nomadic traditions, dating back to the days of the Silk Road, be prepared for Kyrgyzstan's overwhelming welcome of hospitality, received, perhaps, in a shepherd's yurt out on the summer pastures. Drink bowls of freshly fermented mare's milk with newfound friends and let the country's traditions take you into their heart. Marvel at the country's icy glaciers, crystal clear lakes and dramatic gorges set beneath the pearly white Tien Shan mountains that shimmer, heaven-like, in the summer haze as the last of the winter snows caps their dominating peaks. Immerse yourself in Central Asia's jewel with its unique experiences and you will leave with a renewed zest for life and an unforgettable sense of just how man and nature can interact in harmony. 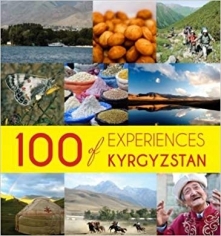 Discovery Magazine's colourful new title, exploring the 100 essential experiences of Kyrgyzstan covers everything from its cities to culture, horse games to holidays and authors to yurts. 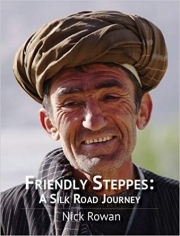 Told through personal experiences written by locals, each vignette brings the reader closer to understanding and interacting with one of Central Asia's most endearing and historic cultures. Nothing better prepares the reader for what to expect from Kyrgyzstan's nature or people, nor celebrates the unique heritage left from thousands of years of Silk Road history. The modern Kazakhstan is a country with a rapidly growing economy, a stable political system and a unique culture. During its 550 years of established statehood history, the country has played a key role in implementing the main geopolitical mission - assistance in integration and formation of a common space of peace and creativeness in the Great Steppe. Over the years of independence, Kazakhstan has seen unparalleled progress, having become an example of stable growth and stability. Today, Kazakhstan has taken a centre stage as a dynamic leader in the Eurasian region. The country is a home for over 100 various ethnic groups, it contributes to expansion of inter-religious dialogue, as well as playing a key role in ensuring regional and global security. 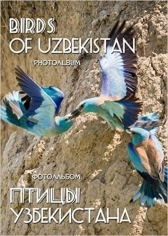 Kazakhstan is a real must visit place with wonderful places. It boasts emerald green pine forests and miles of big canyons. The mountains host a variety of adventures in every season from skiing, snowboarding, and skating to hiking, riding and camping. Apart from varied and stunning natural beauty, the country also boasts its vibrant cities and rich traditions. Kazakhstan is on its way to establish a strong, transparent and accountable state are based on the common national idea - 'Mangilik El' (Eternal Nation), which serves as a powerful basis for building a new Kazakhstan in the 21st century. A Feast in Place of War, a play, based on the book of the same name published in Moscow in 2013. The play is set 12,000 years BCE on the sacred Mount Meru, where the classical Greco-Roman gods have gathered to end their protracted feud with the Titans once and for all. However, not even the gods can make everything go as they want, and Zeus is forced to replace the Council of Gods with a feast, as the Titans haven’t shown up for the talks. The supreme deity has announced a ball, but the gods aren’t exactly falling over themselves to attend this, either. His beloved children Athena, Aphrodite and Apollo don’t come, and there is no sign of Mother Gaia, who is trying to prepare an elixir of immortality for her earthly progeny while the others feast. As the action unfolds, we see the gods for who they really are, with all their squabbles, scheming and psychological games. Zeus likes to think that he’s in charge, but how much does the Thunderer really know about what’s going on behind his back? He’s declared the Earth’s ancient inhabitants “withered branches of the tree of life”, but Mother Gaia is determined to save them from destruction—and Hera, the goddess of women and marriage, is equally determined to stop her. But how will Zeus react when he finds out that his own wife hasn’t informed him of her cunning plan? Based on a lecture given at Cambridge and first published in 1929, `A Room of One's Own' interweaves Woolf's personal experience as a female writer with themes ranging from Austen and Bronte to Shakespeare's gifted (and imaginary) sister. `Three Guineas', Woolf's most impassioned polemic, came almost a decade later and broke new ground by challenging the very notions of war and masculinity. 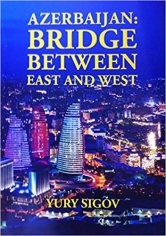 Azerbaijan is not only a fantastically exotic location on the world map, but also a unique bridge joining Europe and Asia. There Has never been a better time to become acquainted with this "emerging energy giant" at the Euro-Asian crossoads. Discover what dreams and Hopes this country cherishes and what lies in store for Azerbaijan within the nezt few years. Alongside this you will realise what an incredible economic, and even more importantly, human potential lies in this amazing and absolutely unusual land. Through her childhood reminiscences, Zinaida Longortova brings to life a remote region in far-northern Russia. Extrapolating the folklore and mythology of the Khanty people from her experiences - set around the simple story of a wounded elk calf - the author explores the bonds between humans and nature. Yet whilst this is a novella about a little known indigenous group, the narrative succeeds in harnessing powerful emotions which speak to us all. 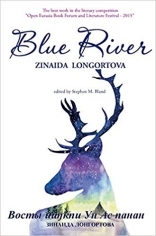 A timeless story, at once both joyful and melancholy, Blue River is a beguiling tale for all age groups. 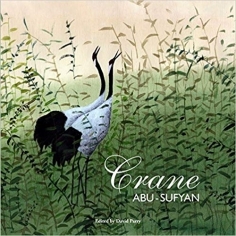 In this remarkable collection of prose poems, author Abu Sufyan takes readers through a series of fairy tale scenarios, wherein are hidden a number of sour existential truths. Indeed, from the bewilderment felt by anthropomorphised cranes, to the self-sacrifice of mares galloping towards their (potential) salvation, all the way to the bittersweet biographies experienced by a girl and her frustrated mother, this book weaves darkly enchanted frame stories into highly illustrative fables. Structured, as they are, in the style of unfolding dialogues, Sufyan's haunting literary technique serves to unveil a story within a storyline. An almost Postmodern strategy, whereby an introductory, or main narrative, is presented (at least in part), for the sole purpose of sharing uncomfortable anecdotes. As such, critics have observed that emphasized secondary yarns allow readers to find themselves - so to speak - stepping from one theme into another - while simultaneously being carried into ever-smaller plots. Certainly, as adventures take place between named and memorable characters, each exchange is saturated with wit, practical jokes, and life lessons contributing to an overall Central Asian literary mosaic. All in all, this tiny volume is both a delight and a warning to its admirers. This modest work's overall theme is to investigate how the formation of the state of Kazakhstan fits into current friction between two notions: one of the nation-state and one of "voluntary adherence" to any state within framework of the process of globalization. 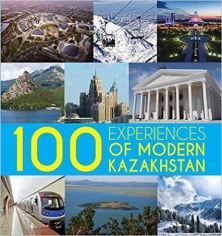 However, in order to provide clarity in particular to those readers who get to read about Kazakhstan's history for first time, the book's overall order kept chronological, with specific details on social, spiritual, economic and political peculiarities embedded in the various episodes of Kazakhstan's turbulent, sometimes vague but always intriguing history. Deep within central Asia, Kyrgyzstan's beautiful mountainscapes, dreamlike rock formations and semi-nomadic culture are gloriously unspoiled. A trip here can be as adventurous as you please: admire 5,000-year-old petroglyphs at Saimaluu-Tash, gallop on horseback through the rugged Ala-Archa Canyon, visit Bishkek's Soviet-era statues or simply laze on the shores of the vast Lake Issyk-Kul. 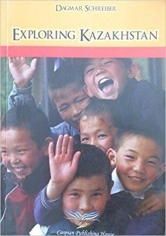 Now in its third edition, this remains the only English-language guide dedicated solely to Kyrgyzstan. 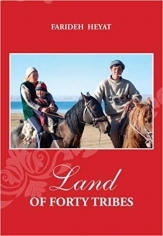 It offers in-depth coverage of historical background, health, safety and transport, plus author recommendations on the best yurt camps and chaikhanas. Join Laurence Mitchell on a magnificent journey through the country's remote Silk Road villages, ancient conifer forests and rolling alpine meadows. Sima Omid, a British-Iranian anthropologist in search of her Turkic roots, takes on a university teaching post in Kyrgyzstan. It is the year following 9/11, when the US is asserting its influence in the region. Disillusioned with her long-standing relationship, Sima is looking for a new man in her life. But the foreign men she meets are mostly involved in relationships with local women half their age, and the Central Asian men she finds highly male chauvinist and aggressive towards women. Soon after her arrival, one of her students is kidnapped for marriage and is killed in an attempt to escape. When she questions the girl's sister and her friend, they respond, "What can we do. It's our culture." This impels her to pursue a research journey to far corners of the country, gaining shocking insight. Sima also explores the spread of radical Islam in the country, meeting with fundamentalist women and attending indoctrination meetings at the mosques. These reveal disturbing aspects of Islamisation in Kyrgyzstan and many of the modern issues that concern the disaffected religious youth of today. More generally, her observations illuminate different lives and cultures in Kyrgyzstan and Uzbekistan, in particular the position of women and gender relations. 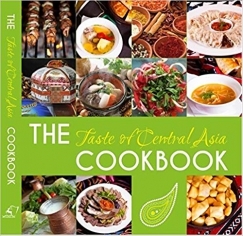 A scintillating story of love, adventure and cultural discoveries set in the heart of Central Asia. 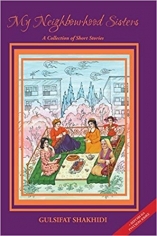 This is a unique book covering a range of subjects, including the often-neglected historical connection between Iranian civilisation and Central Asia. This book was written by someone on the fringe of death. Her life had been split in two: before and after the first day of August 1991 when she, a mother of two small children and full of hopes and plans for the future, became disabled in a single twist of fate. Narrating her tale of self-conquest, the author speaks about how she managed to hold her family together, win the respect and recognition of people around her and above all, protect the fragile concept of 'love' from fortune's cruel turns. 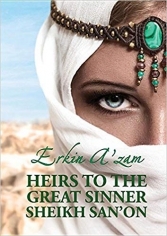 By the time the book was submitted to print, Marziya Zakiryanova had passed away. She died after making the last correction to her script. We bid farewell to this remarkable and powerfully creative woman. 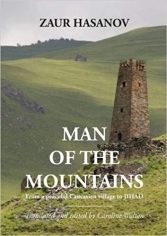 Man of the Mountains" is a book about a young Muslim Chechen boy, Zaur who becomes a central figure representing the fight of local indigenous people against both the Russians invading the country and Islamic radicals trying to take a leverage of the situation, using it to push their narrow political agenda on the eve of collapse of the USSR. After 9/11 and the invasion of Iraq and Afghanistan by coalition forces, the subject of the Islamic jihadi movement has become an important subject for the Western readers. But few know about the resistance movement from the local intellectuals and moderates against radical Islamists taking strong hold in the area. "Man of the Mountains" offers a deeper look at the growing influence of Islamic radicals in the Caucasus, particularly in the northern part where the author is from, and its philosophy and operational tools on the ground. Reviews: "This new book, from the winner of the 2013 Open Central Asia Book Forum and Literature Festival, is a powerful work based on real experience that leaves its readers fully immersed in the history and mysticism of the Caucasus region. A thrilling ride from start to finish." - Nick Rowan, Editor-in-Chief of Open Central Asia magazine In Abdulla Isa's ( Zaur Khasanov) novel, the reader is imbued with the fate of its colourful characters. The mystery of the soul becomes apparent and the reader witnesses violence and deceit, cowardice and betrayal, victory and defeat, and, in the end, heroism." - National Writer of Kyrgyzstan, Kazat Akmatov Using the I-perspective, the main character - a Chechen highlander - shares with us an almost ten-year period of his young life, mainly against the backdrop of two Russian-Chechen wars. With Wahabi influence increasing in his native village, leading to the mysterious death of his father, the main personage is drawn further into his odyssey. 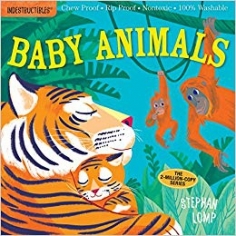 The charm of this children’s book lies in its original storyline which successfully encompasses folklore, science, natural history and geography. 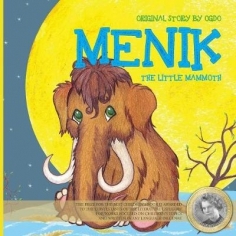 As the baby mammoth develops, the author raises issues concerning parenting and what a child needs to make its way through life, through the male and female perspectives of its young creators, Boris and Veronica. Menik, by default, finds himself facing the world alone and we learn how he copes with danger and struggles, as a displaced being, against ingrained prejudice and people’s fear of the unfamiliar. But there are also glimpses of human kindness and generosity of spirit which eventually, win the day.Beautifully illustrated, this little book is likely to become a favourite bedtime story and one to which children will return again and again. 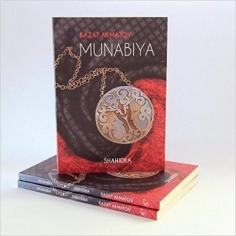 MUNABIYA AND SHAHIDKA by Kazat Akmatov National Writer of Kyrgyzstan Recently translated into English Akmatov's two love stories are set in rural Kyrgyzstan, where the natural environment, local culture, traditions and political climate all play an integral part in the dramas which unfold. The hands of our ancestors are ever active. 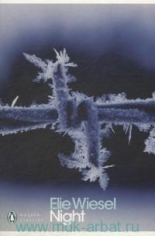 Weaving, as they do, their signs and marks into everything manifest. Hardly a surprise, on reflection, since the departed have always heavily outnumbered those presently surrounding us. Yet, realizing the unending power of our forebears may shock unwary observers, while openly unsettling the faint of heart. After all, ancestral influences can take challengingly repellent, unrepentantly grotesque, or even divinely aesthetic expression. All meaning, on the level of the Global Text, poets usually fall into a necessary burlesque when such spectres appear in verse. Or, contrarily, feel compelled to adopt an overly tragic attitude in order to ward-off their threatening atmospheres. Be either of these errors as they may, the secret power of ancestry is still found in the unlimited semiosis it incarnates in our own lives. A process referentially labelling, as well as cleverly inducing, creative identity. Indeed, not to admit these traditional benefits as an honest (but nevertheless scripted) engagement with ourselves remains the real problem. Although flatly denying literary significations of this kind is cultural blindness to say the very least. Themes, so stated, clearly explored in my own work and unexpectedly shared by the remarkable poetess Lenifer Mambetova. 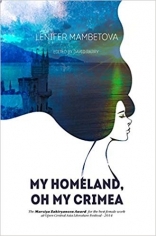 In which case, introducing My Homeland, Oh My Crimea in its first English edition is not simply an honour, but also a reminder of our common humanity. Moreover, as the first Crimean-Tartar poetry collection ever published in the English-speaking world, it is an extremely rare privilege. Certainly, Lennifer's terse and highly evocative style will delight her new readerships. Reminding them through politicized image and lamenting symbol that writer's "learn" prose, although they "express" poetry. The latter being an act of healing, along with the possibility of genuine transcendence. Set in Dushanbe, Tajikstan’s capital city, My Neighbourhood Sisters provides a snapshot of a close-knit community as it endeavours to adjust to changes induced by the country’s senseless civil war in the 1990s. Turning the pages of Gulsifat Shakhidi’s novel is like looking through a photo album, in which the narrator, Zulfiya has lovingly pasted images of both her own family and those of her neighbours. And behind each picture lies a poignant story. Shakhidi’s key protagonists are her close female friends; a group of proud, hardworking Tajik women who are challenged by both political and domestic unrest as they wrestle to maintain traditional family values. Their customs and local environment – the communal courtyard where neighbours gather to drink tea on a raised bed- may belong to Central Asia, but the hardships they endure are universal: infidelity, addiction, abuse, poverty, death. 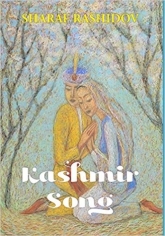 And it is this, so sensitively described by Shakhidi that will resonate with readers the world over.Zulfiya’s ‘sisters’ include feisty professionals and housewives, grandmothers and new brides, and as the novel unfolds, we learn how they value being able to share their problems and support each other in times of trouble. They also rely heavily on the wisdom and experience of Zulfiya’s adopted uncle and fellow tenant, war veteran, Grigory Semenovich.My Neighbourhood Sisters is a powerful and beautiful book filled with characters drawn from both the author’s imagination and her actual family, but in all of them, we will recognise aspects of ourselves and people from our own lives, and will perhaps be drawn to reflect on that close camaraderie between neighbours and that sense of community which in our current age, are fast disappearing. HarperCollins is proud to present its new range of best-loved, essential classics.‘Caution comes too late when we are in the midst of evils.’Set just before the Jacobite Rising in 1715, Scott drew upon the political and economic struggles leading up to the rebellion and the tumultuous history of the Highlands in his classic adventure novel Rob Roy. Despite the book’s title, Frank Osbaldistone is the protagonist, travelling through England and the Scottish Highlands to collect a debt owed to his father by his cousin Rashleigh. On his journey he comes across the mysterious and striking Rob Roy, the infamous yet hunted outlaw. A story about justice, love and the harsh realities of 18th-century Highland life, Scott’s work is still viewed as the ultimate historical adventure novel. 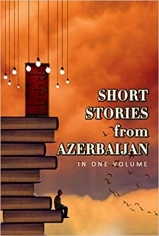 This anthology presents а selection of (mainly) twentieth century short stories and novellas from Azerbaijan, Bу Azerbaijani writers. 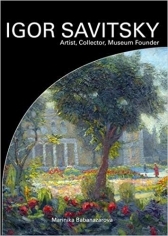 Тhе works are presented for your attention, gentle reader, for уоu to judge them оп their merit alone; this new collection is not intended as а literary survey of Azerbaijan, and the stories make their claims оf уоu Bу their own qualities, rather than as exemplars of their country's history throughout the twentieth century, or as illustrations of the great changes that swept through the country. The dream of the main character nevertheless has come true. That’s wonderful! What it is possible to dream in such time of.In the story the subject of the military childhood is touched. The main character by the name of Faya waits the father from war whom practically doesn’t remember, only the fact that he is big and kind. Describing the different situations which have occurred with Faya, the author wants to show how she has grown up in a year, has grown up not so physically, rather spiritually. Despite hard times the girl is very sociable, cheerful and inquisitive. Faya believes in good and remains happy! 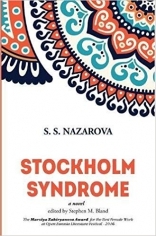 This book is an important milestone introducing the post-Soviet literature to the international readers. Indeed, it opens to the curious readers a completely new and largely unknown universe of the splendid literature of a small nation, but with marvelous cultural heritage on the cross-road of Asia and Europe. As the third millennium dawns, this world storms and changes unpredictably. Hence, it has become difficult to calculate what to expect on the morrow. Indeed, questions of recovery from innumerable crises (along with any possible rescue plan for humankind from adverse global conditions), are now paramount. After all, dangers such as rapid climate change, water scarcity, not to mention preventable food shortages, obviously shake social stability and economic sustainability on a planetary scale. At the same time, of course, as potential resource-based political conflicts appear on the horizon, various natural cataclysms, pure accidents, and negative environmental processes are increasing. All presenting humanity with unprecedented socio-environmental issues. Each one of which has (arguably), been generated through a deliberate refusal to apply “objective” economic principles, an active interest in wildlife conservation, or for that matter any employment of tried and tested managerial laws governing cyclical unfolding.So stated, these instances of adaptation emerged, first of all, in the consciousness of people: only thereafter configuring generally within world psychology. This is why every one of these problems demands a revival of spiritual and moral values. It is time, therefore, as every fair-minded observer can see, for our human race to bring order into its own house!As such, this present megaproject is a scientific hypothesis for a better future for everyone. Yet, neither futurology, nor predictions, or imaginative visions, in themselves provide a full solution. Rather the emergence of a real conceptual strategy for humankind’s survival in the XXI and further centuriesis required. 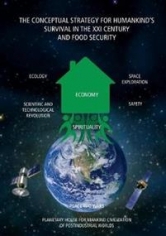 What is more, the rubrics behind the creation of a universal civilization are demanded: if, that is, a post-industrial world, founded on spirituality, scientific and technological innovation, ecology, space exploration and world safety, are to become realties.Undoubtedly, considering the fact 1.3 billion people are currently starving, special attention must be paid to food security. A topic already preoccupying a number of countries present day governments. However, only systematic and coordinated measures regarding the six basic components of security can actually provide the world with a steady life in its highly diverse domains. In which case, it is telling that these theoretical breakthrough-ideas have arisen in the epicentre of Eurasia. Territories wherein alternative options to those defended by the XXI century Western world can be clearly explored in a genuinely globalized context.With these arguments in mind, we seek to address laymen, as well as members of the UN, members of international public organizations, scientific centres, corporations and the mass media, along with anyone who is not indifferent to future human civilization. Overall, this fairy tale is written in a New Age style. As such, a little girl named Agnia suddenly finds she has the ability to understand the language of flowers, birds and trees. Moreover, by communicating with them, she learns about the existence of a wonderful country - Belovodye (the likeness of Shambhala in Russian folklore). So, Agnia decides to go in search of this enchanted terrain. Meeting, thereby, amazing characters who guide he steps along the way. 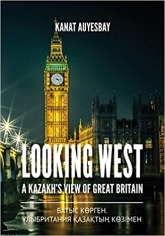 This book from the famous Kazakh international publicist reflects the international reality in which the Kazakh people lived and live for the last twenty-seven years after gaining their independence. The reader is given the opportunity to understand how difficult the transition was from socialism to capitalism. The new life caught by surprise the majority of people of the country, that is the simple person. For all these years the author was in the midst of the people and has survived with them all the hardships and privations that usually fall on the shoulders of ordinary citizens. 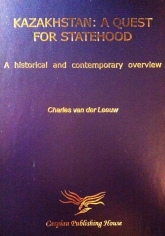 For many years he studied the relationship of people in society, the relationship of peoples and States.He wrote analytical and research works such as "Islam-the source of spiritual development," "The influence of Darwin's theory on national consciousness," "The Religious factor-as one of the political aspects of the spiritual and cultural development of society," " What is better than capitalism or socialism?," "How to make our lives better today than yesterday," "How to remain a man in the world of people," "Man, take care of yourself and your descendants" and others. 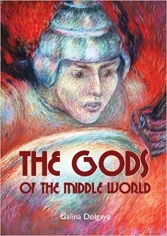 The Gods of the Middle World tells the story of Sima, a student of archaeology for whom the old lore and ways of the Central Asian steppe peoples are as vivid as the present. When she joints a group of archaeologists in southern Kazakhstan, asking all the time whether it is really possible to 'commune with the spirits', she soon discovers the answer first hand, setting in motion events in the spirit world that have been frozen for centuries. Meanwhile three millennia earlier, on the same spot, a young woman and her companion struggle to survive and amend wrongs that have caused the neighbouring tribe to take revenge. The two narratives mirror one another, and Sima's destiny is to resolve the ancient wrongs in her own lifetime and so restore the proper balance of the forces of good and evil. Drawing richly on the historical and mythical backgrounds of the southern Kazakh steppe and of ancient Tibet, the novel ultimately champions human love and compassion over rigid predestination and is a call to each of us to listen for the unique spirit that guides us. With a lifetime of first-hand knowledge of the region in which the story is set, Galina Dolgaya has published a number of novels and poems in Russian. 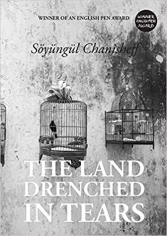 The Land Drenched in Tears is a moving history of the tumultuous years of modern China under Mao's rule, witnessed, experienced, and told through the personal lens of an ethnic minority woman, who endured nearly 20 years imprisonment and surveillance regime as a result of her political activism in Xinjiang, or East Turkistan, located in the far west of China.Writing her autobiography as an extraordinary melange of diary and memoir, which oscillates between first-hand narrative and flashback, the author, Söyüngül Chanisheff, traces her unfortunate youth from her university years, when she founded the East Turkistan People's Party as a result of her anger and frustration with communist China's devastating mishandling of the socio-economic life of the people of her native land, through her subsequent imprisonment in China's notorious labour camps as well as under the surveillance regime, to her emigration to Australia.Chanisheff's autobiography is a rare, detailed, and authentic account of one of the most poignant and most fascinating periods of modern China. It is a microcosmic reflection of the communist regime's tragic realities presented through the suffering and hope of a young woman who tied her fate to that of her beloved homeland. This is a biography of Elena Bezrukova, an extraordinary and fiercely determined woman whose work has had a profound impact on numerous lives in her native Kazakhstan.Inspired by courses attended at the Elena Bezrukova Centre and her subsequent friendship with Bezrukova, the author tells how a child overcame her shyness to become a natural leader and founder of an institution renowned for enabling people to realize their potential by transforming their dreams into objectives.Bezrukova is also a well-established artist. Encouraged by Tikhonovna, she developed a new genre of art- ‘Projective Graphics’ – and work by both women was displayed in a major exhibition in Almaty and published in an album in 2014. The movements of his mind seemed to tend to the thought that some power was working against him.’When Henchard, an out-of-work hay-trusser gets drunk and sells his wife at a country fair, his life will never be the same. Eighteen years later, his wife and daughter return to Casterbridge to find that Henchard has become Mayor. Although he’s spent most of his life attempting to repent for his actions, he remains a rash and impetuous man. Hardy portrays Henchard as a tragic hero, searching for love and acceptance from the community around him, posing the overarching question of whether we shape our own fate, or whether life deals us an inevitable hand. This collection of poetry is the ﬁrst book in Azerbaijani written by the talented young poet Leyla Aliyeva, who is known in our iterary circles for moving poems, such as "Don't Go, Mother", "I will Go and Cry a Little", "The Swan", "The Butterﬂy", "To Each Their Own End" and "I am Blind". 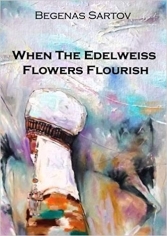 From her very ﬁrst work, these poems have shown her own way of thinking and distinctive view of the world. They are like unfading ﬂowers that retain sorrow, love, the warmth of the air, rain, drizzle and scent. For several years now Leyla Aliyeva has been earning the admiration of a wide, intellectual readership. Three late-Victorian gentlemen, George, Harris and the writer himself, as well as their fox terrier Montmorency, take a trip in a boat along the River Thames to Oxford. What ensues is a hilarious journey through the English waterways full of anecdotes, and farcical incidents with Montmorency wreaking havoc along the way. One of the most important texts in the history of American literature, 'Uncle Tom's Cabin' had a profound effect on attitudes toward African Americans and slavery in the United States. From the author of The Glass House, a remarkable and thought-provoking book about domestic politics and first loves; an intelligent and beautifully-written novel that exposes hidden inner lives to reveal their sometimes devastating consequences. Islam and Christianity inspired by Kazakh steppe nomads, university academic claims. 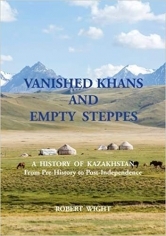 In the book Professor Zakiryanov explains how generations of steppe nomads, including Genghis Khan, have helped shape the language, culture and populations of Asia, Europe, the Middle East and America through migrations taking place over millennia. Professor Zakiryanov presents highly accessible yet detailed research, demonstrating clear links between the linguistic and cultural roots of great civilisations and religions both past and present, and the language and societal innovations brought about by wave after wave of Turkic nomads travelling both West and East.History is shaped by the victors, but after the collapse of the Soviet Union new attempts are being made to recover historical and ethnographical detail that previous empires swept aside. After reading the result of years of research by Professor Zakiryanov you will look again at language and culture, and see the living histories they represent. Nazarbayev replaced Kolbin, who despite his office had little authority in Kazakhstan, on 22 June 1989.He was Chairman of the Supreme Soviet (head of state) from 22 February to 24 April 1990. Nazarbayev was elected President of Kazakhstan by the Supreme Soviet on 24 April. He supported Russian President Boris Yeltsin against the attempted coup in August 1991 by Soviet hardliners. The Soviet Union disintegrated following the failed coup, though Nazarbayev was highly concerned with maintaining the close economic ties between Kazakhstan and Russia. He won the 1991 presidential election on 1 December, winning 91.5% of the vote in an election in which no other candidate ran against him.On 21 December, he signed the Alma-Ata Protocol, thereby taking Kazakhstan into the Commonwealth of Independent States. 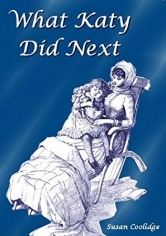 Katy is offered the chance of a lifetime when Mrs Ashe invites her to leave their home town of Burnet in America and travel with her and little Amy to Europe. 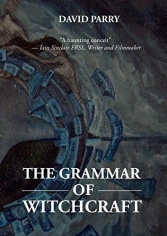 FIRST ENGLISH TRANSLATION OF RENOWNED SOVIET SCIENCE FICTION WRITER. ORIGINAL PUBLISHED 1969 A spectacular insight into life in the Soviet Union in the late 1960's made all the more intriguing by its setting within the Sovet Republic of Kyrgyzstan. The story explores Soviet life, traditional Kyrgyz life and life on planet Earth through a Science Fiction story based around an alien nations plundering of the planet for life giving herbs. The author reveals far sighted thoughts and concerns for conservation, management of natural resources and dialogue to achieve peace yet at the same time shows extraordinary foresight with ideas for future technologies and the progress of science. 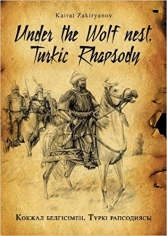 The whole style of the writing gives a fascinating insight into the many facets of life in a highly civilised yet rarely known part of the world. Communism and local traditions are explored on many levels to show both the positive and negative aspects as the main story revolves around the principle character of a young man named Melis. His exploits in training to become a shepherd, develop his relationship with his true love Rena and his encounters with Aliens from a far of world invading his beloved mountains leads to a story that gallops along similar to a wild Kyrgyz stallion. 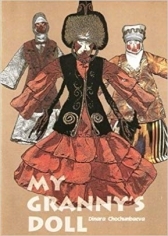 The English translation was undertaken by the authors niece in the Scottish literary centre of Edinburgh. 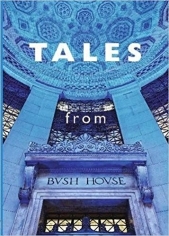 Reviews: Peter Wullen: I think it is a very enchanting book. I don't even think this is science fiction. It's kind of dreamlike! I would even call it a religious or mystic novel and this in times of communism. I did read some echoes of Manas too. The description of the beauty of the Ala Too mountains and lake Song Kul are just great. Ian Claytor: ....an interesting read in itself especially for aficionados of the genre, something that can be fascinating to someone who knows something about the subject - the geography, the history or the culture, which help to bring some of the details to life. 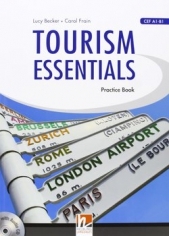 Tourism Essentials is a basic skills-based book offering effective language practice for students of tourism.It covers a wide range of useful topics such as cooking, making hotel reservations and applying for jobs.Tourism Essentials gives students the essential language and communication skills that they need to work in the tourism sector. 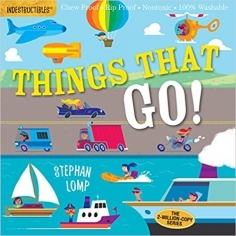 • Interesting, up-to-date topics;• Emphasis on communication and real language;• Clear presentation of vocabulary;• Contemporary, authentic texts;• Regular listening practice;• Focus on useful language;• Glossary of relevant vocabulary;• Integrated workbook. Tourism Marketing provides a contemporary approach to formulating,implementing and monitoring marketing strategy for regional tourismmarketers and small businesses, the latter comprising over 90% ofthe 'tourism industry'. 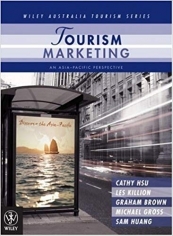 The principal aim of Tourism Marketing isto demonstrate how marketing principles apply in the tourismindustry in Australia, New Zealand and the Asia-Pacific. John Wanamaker famously observed that "half the money I spend on advertising is wasted; the trouble is, I don't know which half." Indeed, though advertising is pervasive in our society, how it works (if and when it works) is not a question most of us can answer. In this Very Short Introduction, Winston Fletcher, a seasoned advertising veteran with extensive inside knowledge, offers an illuminating look at this billion-dollar business, dispelling some of the myths and misunderstandings surrounding the industry. Fletcher offers a short history of advertising and explains how the industry works and how each of the parties--the advertisers, the media, and the agencies--contribute to the process. He also looks at the financial side of advertising and asks how today's Wanamakers know if they have been successful, or whether their money has in fact been wasted. 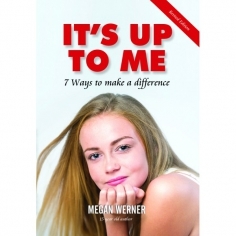 The book concludes with a discussion of controversial and unacceptable areas of advertising, such as advertising aimed at children and the promotion of products such as cigarettes and alcohol. 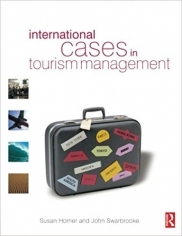 The case studies are supplemented by exercises and questions, which ensure that for students and tutors alike the book is the ideal accompaniment to all tourism courses. 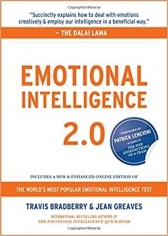 * A wide-ranging collection of pertinent case studies from around the world. 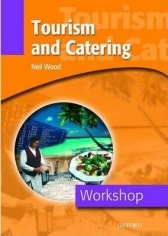 * An ideal companion volume for both tutors and students of tourism. 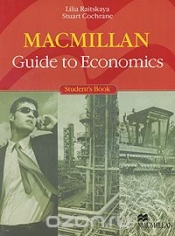 * Simultaneous publication on www.businesscases.org, which means that tutors can refer their students to individual cases for purchase online. The Tourism Development Handbook describes steps and activities relevant to places either just beginning to develop tourism, or seeking to enhance their tourism product. It examines the changing nature of tourism and its impact, showing how planning and marketing can maximize revenue without destroying the destination. Tourists all over the world welcome unique creative experiences that enrich and inspire them when they travel. This is called ''Creative Tourism,'' and it is different from other types of tourism. But why is it needed, and how does one go about developing it? You'll find answers to these questions and more in this book which is based on and draws from the proceedings of a Santa Fe & UNESCO International Conference on Creative Tourism. Held in Santa Fe, New Mexico, USA, from September 28 to October 2, 2008, this first-of-a-kind conference brought together delegates from sixteen countries around the world to engage in a global conversation about how best to leverage the tourism sector for community and economic development. In other words, how tourism can best be organized and practiced to enhance economic benefits to cities, provinces, and countries globally. Conceived, in large part, through the efforts of members of UNESCO's Creative Cities Network, the conference was designed to bridge theory and practice, as well as provide a forum for sharing ideas and best practices. 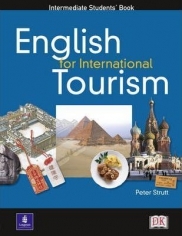 In this book you will find not only a collection of essays by some of the ''thought pioneers'' in the emerging and still evolving field of Creative Tourism, but also a wide array of resources, including many practical examples and illustrations of Creative Tourism in practice from around the world. At a time when activities and initiatives aimed at promoting tourism in a competitive economy have become essential, the notion of Creative Tourism captured in this book offers a life line that cannot and should not be ignored. 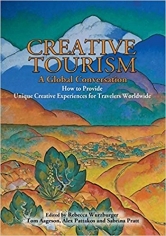 Creative Tourism: A Global Conversation should be required reading for all tourism and community/economic/cultural development professionals, artists, elected and appointed public officials, and tourists who are seeking destinations that offer customized, creative, experiential, authentic, and meaningful experiences that are tied to the uniqueness and ''spirit'' of a place. The Customer Experience is the sensory, cognitive, emotional, social and behavioral dimensions of all activities that connect the customer and the organization over time across touch points and channels. It encompasses all activities involving the customer where the organization is the focal object, including pre-purchase activities (such as exposure to a website ad), and purchase, consumption, and engagement behaviors (blogging, sharing photos). 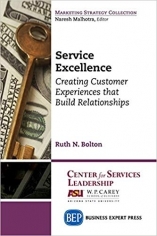 This book analyzes the challenges of creating excellent customer experiences, including the management of technology and new media. 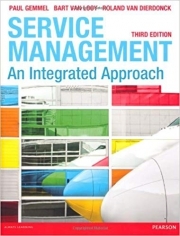 It describes how customers co-produce and co-create their experiences, and how these activities influence business revenues and costs. 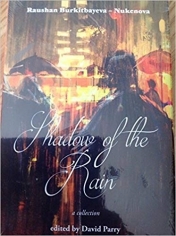 This edition is Mukhtar Shahanov's authorized reprint of Walter May translation of "The Plaint of the Hunter Above the Abyss" book initially published by Atamura in 1998. 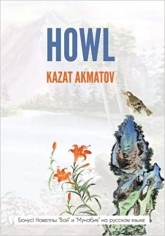 This is a book-dialogue between two famous pundits, the renowned Kirghizian novelist Chingiz Aitmatov and the legendary Kazakh poet Mukhtar Shakhanov - defending their fundamental faith in the spiritual resources of each and every human being. As such, they explore the moral significance of endlessly recurrent existential dislocations characterising everyone's sense of Personalist encounter with the world around them. A discussion taking them through the riddles posed by ancient philosophies, Turkic histories, African priest-magicians, two-fanged poisonous fish, modern zombism, and Genghis Khan's Golden Hoard: all the way to power politics in the Kremlin, the risks taken by Premier Mikhail Gorbachev as well as the duties, not to mention the obligations, of writers serving in the sphere of international public affairs. A classic of Victorian literature, 'Tom Brown's Schooldays' has long had an influence well beyond the middle-class, public school world that it describes. An active social reformer, Hughes wrote with a freshness, a lack of cant, and a kind, relaxed tolerance which keeps this novel distinct from other schoolboy adventures.